HOUSTON, TX — (May 31, 2018) Sunny Sky Products launches new sugar free flavors under the beloved Jolly Rancher Slush product umbrella. Sugar Free Jolly Rancher Slush was created to add variety to your frozen program and provides options for the sugar conscious consumer. An increasing number of consumers are looking to reduce their sugar intake. But cutting back on sugar, shouldn’t mean cutting back on flavor. Enjoy the delicious candy flavors of Jolly Rancher Watermelon and Green Apple in a frozen beverage, now available in both FUB and FCB. Now there’s a Jolly Rancher Slush for everyone! Check out our entire Jolly Rancher Slush product line, including our Traditional and Hotties flavors. 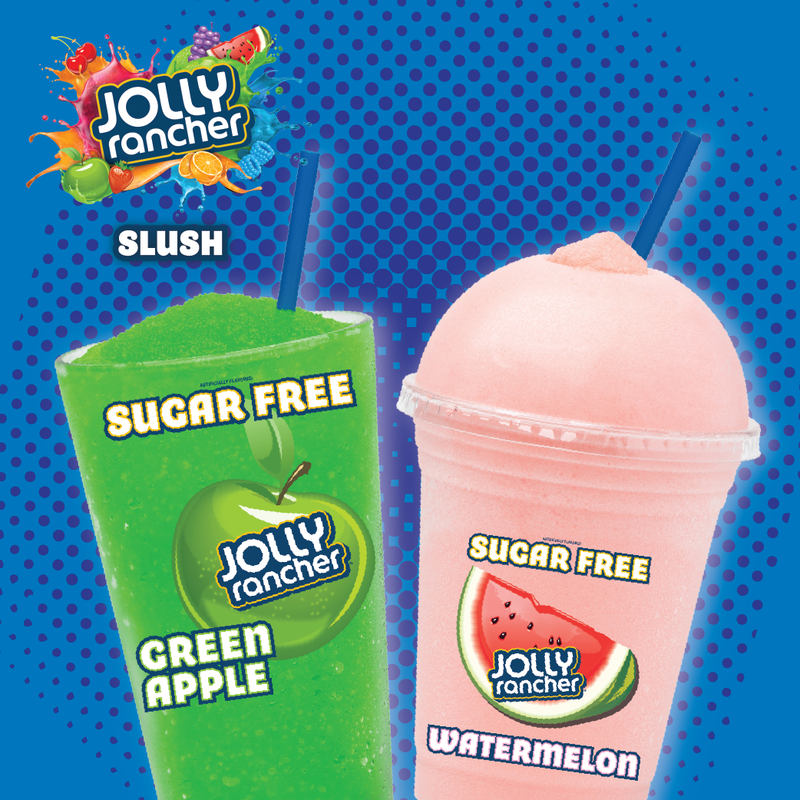 For more information on Sugar Free Jolly Rancher Slush products, click here. Based in Houston, TX, Sunny Sky Products, LLC is a premium dispensed beverage manufacturer of cold dispensed, hot dispensed, frozen beverages and beverage enhancers for convenience stores, schools and restaurants since 1999. Their product portfolio includes brands such as Hershey’s Freeze, Jolly Rancher Slush, Pure® Craft Beverages, El Nino Aguas Frescas® and Original Slushie Company®. Sunny Sky Products distribute their products in over 20 countries worldwide. The Hershey’s and Jolly Rancher trademarks and trade dress are used under license.